Growing up, I don’t remember hearing the phrase ‘work-life balance’ in adult conversations. Perhaps this was because things were far more ‘defined’ back then. I grew up in a home where my father worked in an office and my mother worked at home. It was understood and expected all around that he would leave for work in the morning and return in the evening (in time for evening tea unlike late for dinner in my case). During the day, he never called home and there was no question of anyone calling him at work unless there was an emergency. Once home, he would spend time with the family, read, or watch TV along with everyone else. We knew little of his work as there were no long work conversations that we could overhear. Between him and my mom (and, when I was old enough, me) there were a lot of things to be done that needed time and effort. All banking was done by going to the bank, stuff was bought by going to the market, school-parenting by going to the school, bills paid at utility offices. With no internet, mobile phones, or e-commerce, life should have been tough but we still managed to see more of our parents than I suspect folks at home see me. There was a clear line demarcating the workplace from the home. The accepted norm was to leave the home at home when one left to work and vice-versa. Personal calls and personal errands during office hours were frowned upon and one was expected to ask for time-off to attend to personal work. The accepted social etiquette was that one refrained from talking about one’s work outside office hours even when meeting colleagues. So work and life were separate from each other and there was time for each. Rising income levels required ever higher levels of employee productivity. We got smarter but we also needed to put in longer hours. Work began invading the space reserved for life and the resentment from life started. Work-life balance became a much-debated topic that was linked to everything from employee productivity to employee well-being and even sublime debates on the real purpose of work in life. The fact is that however much we try, there is no way work-life balance can be ensured. Clients work across time-zones and around the clock. And, being customer-focussed means we never have the option to say no or give up on a chance to help. We live in a highly competitive work environment where not everyone plays by the same rules and your peers may beat you by simply putting in more hours at work. In the IT industry to which I belong, change is both continuous and rapid and keeping abreast with this change requires a huge investment of time. Over time, our team at EmployWise have found ways around the problem. We allow free internet access and browsing personal email, social networks, reading content and even watching youtube while in office is no longer a taboo. People order online and our office reception now receives more personal packages for employees than shipments for the company. It’s quite normal to see people eating what probably is a late breakfast after reaching office. Calls and meetings get carried over to the phone as people leave office to manage the traffic rush and long commutes. Many of them actually do a lot of work while commuting. In spite of my personal reservations, we now have an official work-from-home policy. All things that our people do to work around the challenges of juggling their personal lives with work. 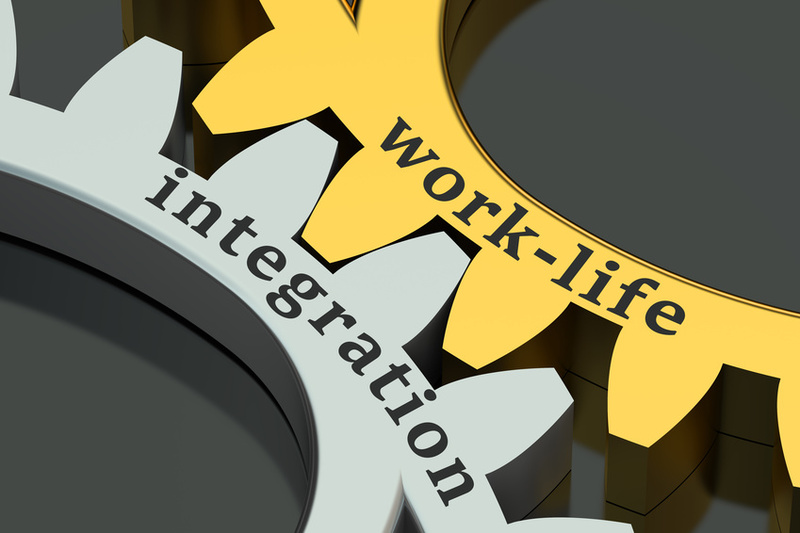 I think it is time we came up with a proper work-life integration policy and recognise the reality of our blended work-life equation today. A first step would be erasing the line that divides work from life or whatever lies outside work. It would be recognition that work happens all the time and everywhere already. Now, it’s time we accepted and enabled people to go about their non-work lives similarly while at work. Company infrastructure and resources would have to be made available to employees to meet their personal commitments just as employees home and their resources serve as proxies to the office. As an employer, we will have to step-in and take care of employees personal chores just as employees step in at all times to serve our customers. We could, for instance, look after meals and laundry and provide support in taking care of children. The leading silicon valley industry leaders and some companies in India too already do so but we need to see these as necessary employee supports rather than fads that get us into the best employers lists. A key enabler for us and several of our customers has been our EmployWise Hire-to-Retire HR software platform that provides employees an integrated portal that enables them to work from anywhere anytime including through the mobile app when on-the-move. Going forward we are looking at how we can extend EmployWise capabilities to help employees do things that they need to in their personal lives like shopping, booking personal travel or managing financial investments. I am sure many more opportunities and initiatives will emerge and evolve once we as an employer begin to understand that employees today live lives where the personal and official is one fused work-life integration.